This black and white kitty is ready for the Cat 'o Nine Lives Ball in his furry tuxedo. This black and white kitty is ready for the Cat 'o Nine Lives Ball in his furry tuxedo. 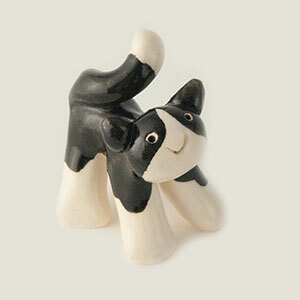 At 1.5 inches tall, Tuxedo is ready for the Paw-sitive Parade.